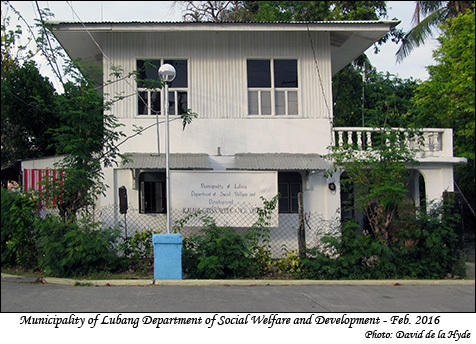 In the 2008/2009 Christmas Holiday period I, (David Hyde) stayed for three weeks in the Municipality of Lubang, Lubang Island, Occidental Mindoro, Philippines. This was my first visit and this web-site records some of my impressions - primarily by the use of photographic images. This is a personal, non-commercial web-site. 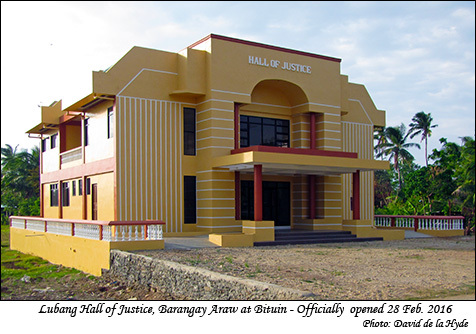 When the Tagbac Barangay Captain, Arnel De Lara learned of my interest in creating this site, he was very helpful in assisting me to acquire information in the short time span available. Many other people also helped and I thank everyone for their assistance. It can be noted that I use the "nom de foto" 'David de la Hyde'. 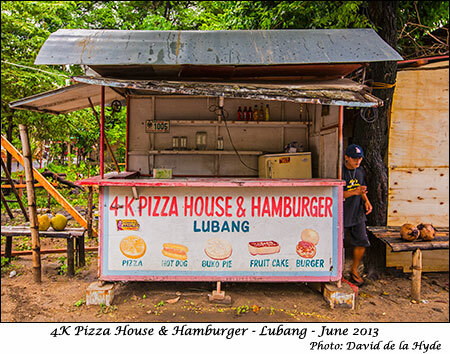 In January 2010 and 2011, I revisited the Philippines, including Lubang, and have included some more material. 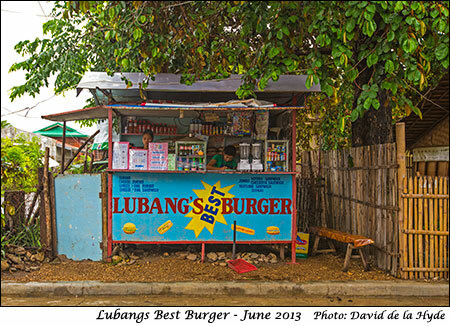 This includes places I visited which are not in Lubang - I do not wish to create any other websites at present - but the Lubang Islands are, and will remain the primary theme. For the last four years I have been in poor health but I managed a short visit each year - the last being in 2014. 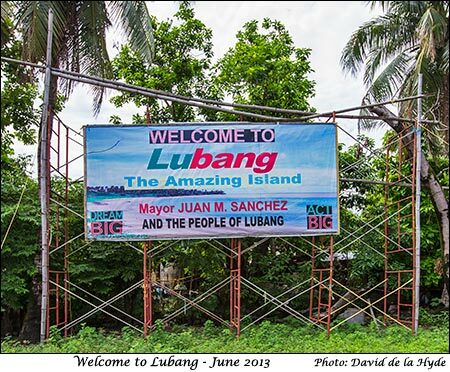 Spanish sailors discovered the Lubang Islands in the 16th century. The Islands - other than the volcanic Island of Ambil - were found to be inhabited by people. They have proved to be primarily of Malayan descent. 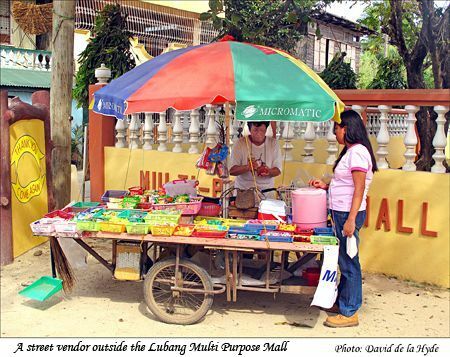 Prior to the arrival of the Spanish sailors Chinese Merchants traded with Lubang residents as proved by pottery and kitchen utensils that have been excavated. 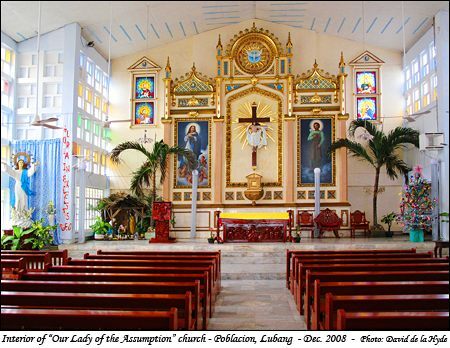 The first church in the Municipality of Lubang appears to have been built by Fr. Muriel in 1865. 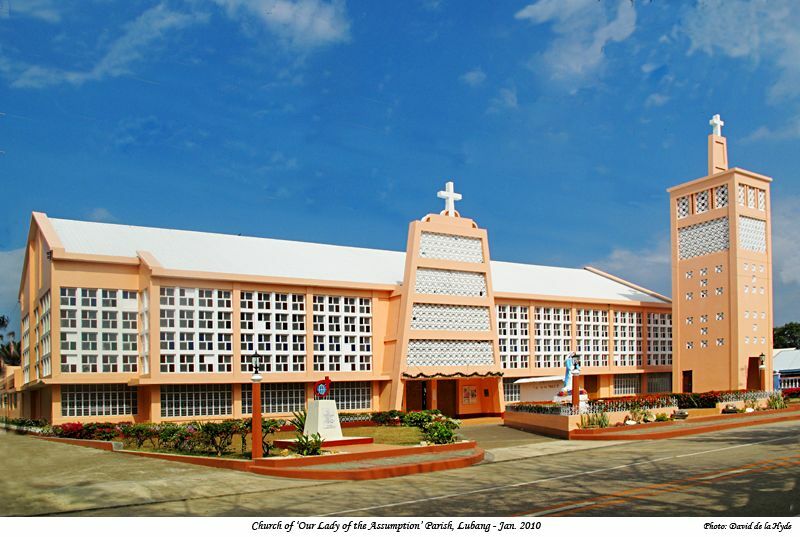 In 1918 there was a strong typhoon which destroyed many houses and buildings including the church. 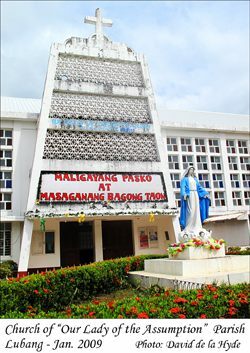 In 1935 the present concrete church in Barangay Poblacion was built with Fr. Enrique Rixner, SVD. (Divine Word Missionary), being the main proponent. 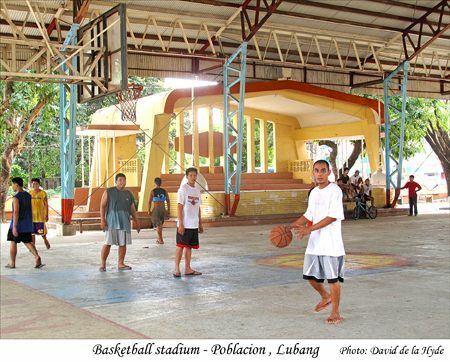 One of the requirements for a Barangay, (the smallest government unit in the Philippines), is that it must have a place to play, and they usually have a basketball court. 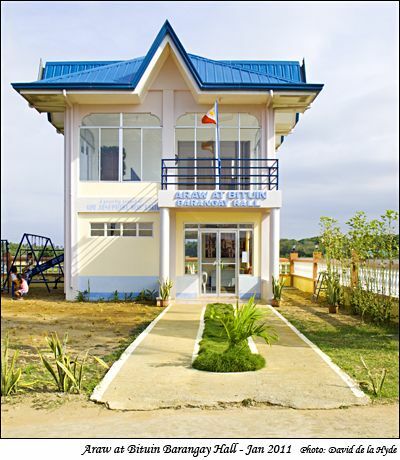 Other requirements include a chapel, plaza, barangay hall, school and health centre. 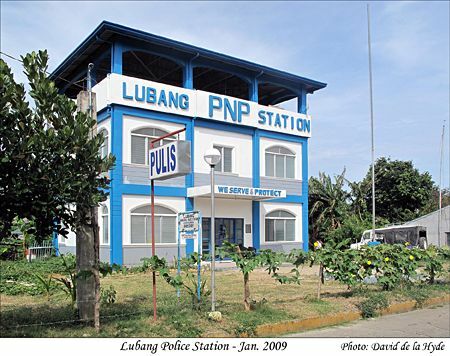 In the NSO Popcen 2007 the population of Lubang is given as 28,267 people, and the Municipality of Looc as 11,310. 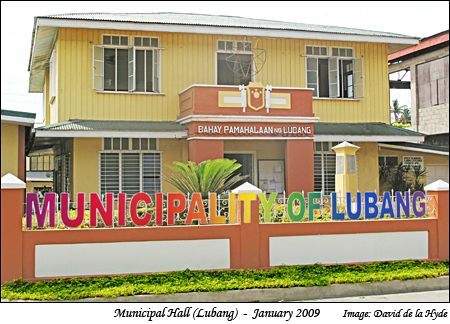 NOTE: The only WWW contact with the tourism section of the Municipality of Lubang appears to be through Lubang Tourism on Facebook. 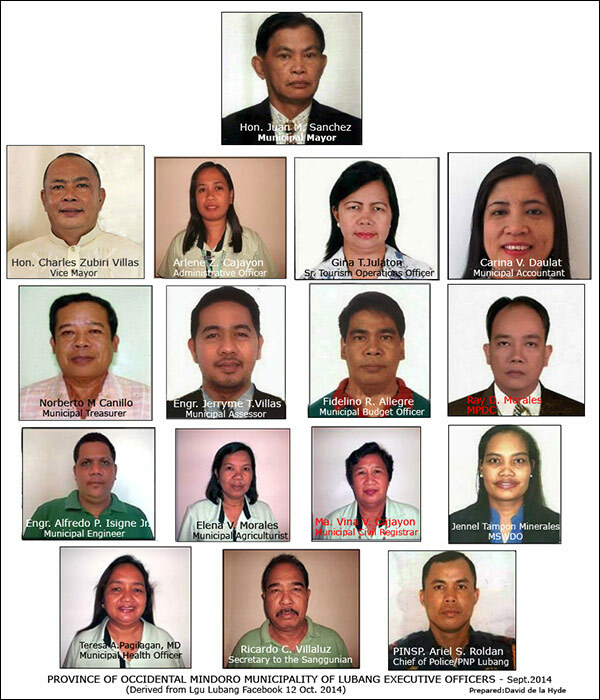 The Tourism Officer is Gina Julaton. Guides to such places as the Onoda Trail can be obtained from the Tourism Office. 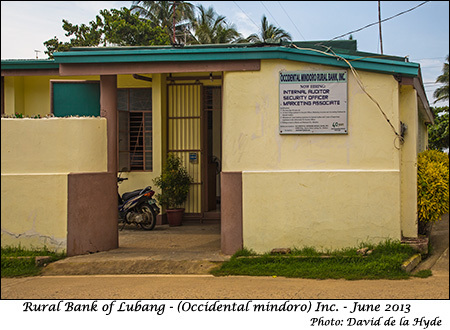 For Download: "A Lubang Island Investment Primer"
The only bank in Lubang. 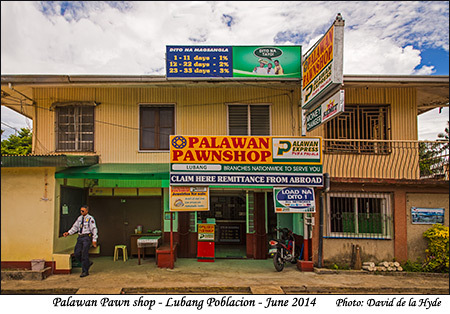 Of little use to a tourist because it has no ATM and does not change foreign currency. 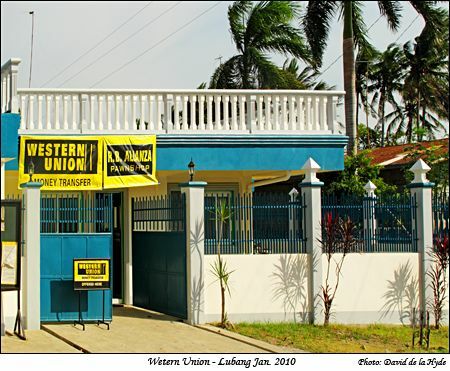 A tourist is dependent on money sent by friends/relatives to Western Union while staying on the Island. I understand that Western Union will hold money for a maximum of 20 days. 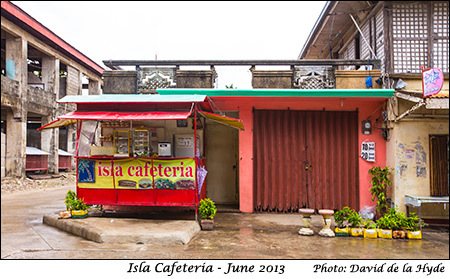 The take-away food stalls located close by to the Municipal Center seem to be the best choice for a quick snack.